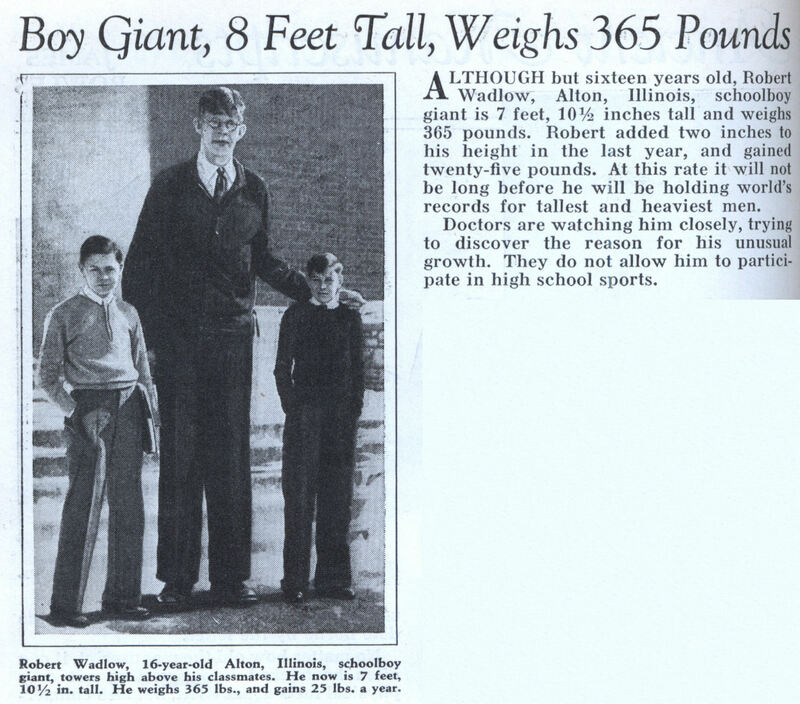 ALTHOUGH but sixteen years old, Robert Wadlow, Alton, Illinois, schoolboy giant is 7 feet, 10-1/2 inches tall and weighs 365 pounds. Robert added two inches to his height in the last year, and gained twenty-five pounds. At this rate it will not be long before he will be holding world’s records for tallest and heaviest men. Doctors are watching him closely, trying to discover the reason for his unusual growth. They do not allow him to participate in high school sports. Robert Wadlow would later become the world’s tallest man.